Enjoy a wide variety of unprocessed, delicious organic food and drink options. 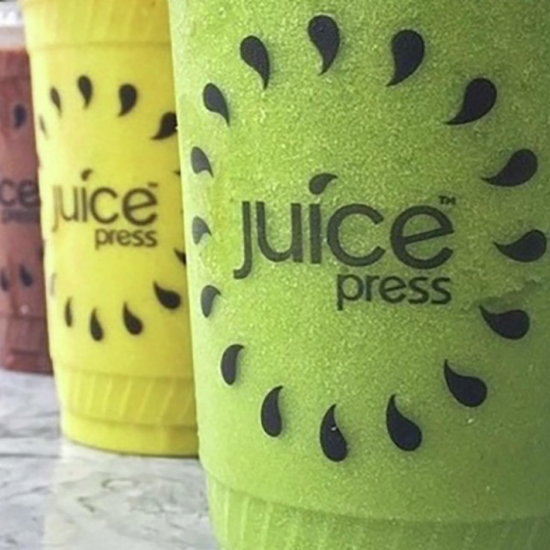 Juice Press is recognized as the premiere organic "grab and go" health food provider. We offer an unparalleled selection of organic, plant-based products and combine them with a short shelf-life to deliver a variety of fresh, nutrient dense products. Walk into the lobby straight towards the Conservatory, and stay to the left. The entrance for the Juice Press will be on the left side just past OMEGA, adjacent to the Spa entrance. Walk into the Via Bellagio Shops and immediately make a right. You will walk into the casino area towards Lily Bar & Lounge, and veer left towards the Casino Cage. From the Casino Cage, make a right and then an immediate left and walk past the Baccarat Bar towards the Lobby. From the Lobby, walk towards the Conservatory, and stay to the left. The entrance for the Juice Press will be on the left side just past OMEGA, adjacent to the Spa entrance.